Khaki knitted wool scarf. 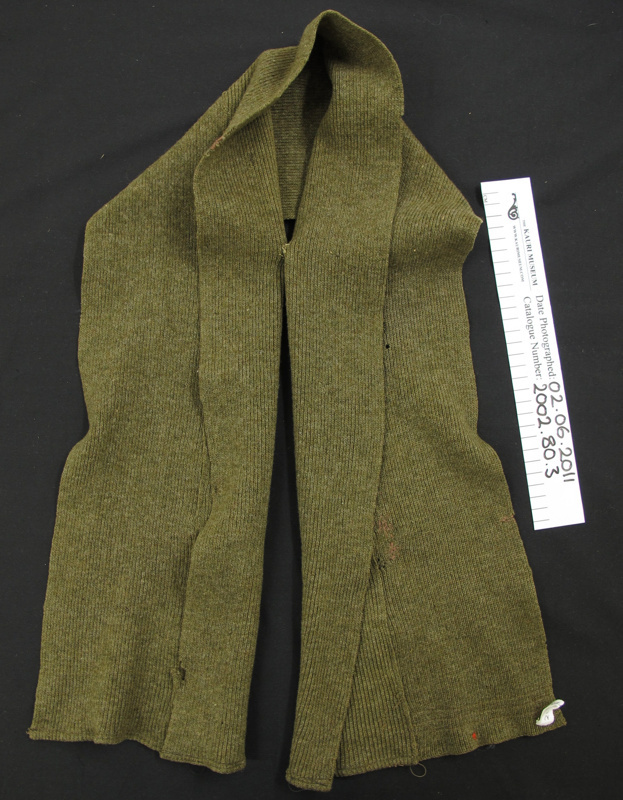 Long strip with a dome to hold it together under the chin and then wraps around as a scarf. Has been darned several times with red/brown wool. Possibly used during WW2.